Fire Risk Assessment Inspection, Fire Extinguisher Service, Fire Extinguisher Supply, Fire Training & Fire Safety in London, Slough, Bracknell & Reading. The size of premises, nature of operations & occupancy characteristics will determine actual fire evacuation times. Annual, 6 monthly or 4 monthly fire evacuation drills may be required dependant on the qualified assessment? Fire evacuation frequencies need to be assessed - depending on the type of premises & management fire strategy. There are many areas that need to be taken into account within every fire evacuation drill occurrence. We can conduct your annual, bi-annual or quarterly fire evacuation drill, to enable you to remain compliant. We can also conduct weekly fire alarm call point testing with appropriate signage & log books provided. How are you fire evacuation drills assessed..? RSET? ASET? Which PD or BS Guidelines Are Utilised..? Too quick evacuation times advised, can lead to incorrect actions, panic, injury & a faulty fire strategy. Too much evacuation time provided, can lead to complacency & untimely injury or worse, loss of life. The correct timings & suitable fire evacuation procedure & fire safety strategy is a legal requirement. Please Note: Anyone providing official evacuation timings must do so in-writing, with the appropriate standards referenced. Fire Evacuation Drill Enquiries: 0800 999 8595 or enquire online via our Contact Us form. We will get back to you as soon as possible - Thanks. Fire Evacuation Drill Conducted by 28+ Years Ex-Fire Service Personnel. Qualified Fire Safety Professional To Assess & Conduct Your Emergency Fire Evacuation Drill Occurrence. Fire Alarm Call Point Testing Conducted by 28+ Years Ex-Fire Service Personnel. Qualified Fire Safety Professional To Assess & Instruct Your Emergency Fire Evacuation Drill Occurrence. Fire Risk Assessment Inspection in London Hounslow Compliant to the RRFSO 2005, BS 9999: 2017, PAS 79: 2012 & Insurance LPCB by 28+ Years Ex-Fire Service Professionals & IFE Accredited Life Safety Fire Risk Assessors Fire Safety Officer Attendance Cost. Fire Risk Assessment Inspection in London Hayes Compliant to the RRFSO 2005, BS 9999: 2017, PAS 79: 2012 & Insurance LPCB by 28+ Years Ex-Fire Service Professionals & IFE Accredited Life Safety Fire Risk Assessors Fire Safety Officer Attendance Cost. Fire Risk Assessment Inspection in Amersham, Buckinghamshire Compliant to the RRFSO 2005, BS 9999: 2017, PAS 79: 2012 & Insurance LPCB by 28+ Years Ex-Fire Service Professionals & IFE Accredited Life Safety Fire Risk Assessors Fire Safety Officer Attendance Cost. Fire Risk Assessment Inspection in Brentford, London Compliant to the RRFSO 2005, BS 9999: 2017, PAS 79: 2012 & Insurance LPCB by 28+ Years Ex-Fire Service Professionals & IFE Accredited Life Safety Fire Risk Assessors Fire Safety Officer Attendance Cost. Fire Risk Assessment Inspection in Gerrards Cross, Buckinghamshire Compliant to the RRFSO 2005, BS 9999: 2017, PAS 79: 2012 & Insurance LPCB by 28+ Years Ex-Fire Service Professionals & IFE Accredited Life Safety Fire Risk Assessors Fire Safety Officer Attendance Cost. 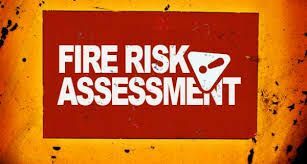 Fire Risk Assessment Inspection in London Westminster Compliant to the RRFSO 2005, BS 9999: 2017, PAS 79: 2012 & Insurance LPCB by 28+ Years Ex-Fire Service Professionals & IFE Accredited Life Safety Fire Risk Assessors Fire Safety Officer Attendance Cost. Fire Risk Assessment Inspection in Northolt, London Compliant to the RRFSO 2005, BS 9999: 2017, PAS 79: 2012 & Insurance LPCB by 28+ Years Ex-Fire Service Professionals & IFE Accredited Life Safety Fire Risk Assessors Fire Safety Officer Attendance Cost. Fire Risk Assessment Inspection in Rickmansworth, Hertfordshire Compliant to the RRFSO 2005, BS 9999: 2017, PAS 79: 2012 & Insurance LPCB by 28+ Years Ex-Fire Service Professionals & IFE Accredited Life Safety Fire Risk Assessors Fire Safety Officer Attendance Cost. Fire Risk Assessment Inspection in Twickenham, London Compliant to the RRFSO 2005, BS 9999: 2017, PAS 79: 2012 & Insurance LPCB by 28+ Years Ex-Fire Service Professionals & IFE Accredited Life Safety Fire Risk Assessors Fire Safety Officer Attendance Cost. Fire Risk Assessment Inspection in Uxbridge, London Compliant to the RRFSO 2005, BS 9999: 2017, PAS 79: 2012 & Insurance LPCB by 28+ Years Ex-Fire Service Professionals & IFE Accredited Life Safety Fire Risk Assessors Fire Safety Officer Attendance Cost. Fire Risk Assessment Inspection in Watford, Hertfordshire Compliant to the RRFSO 2005, BS 9999: 2017, PAS 79: 2012 & Insurance LPCB by 28+ Years Ex-Fire Service Professionals & IFE Accredited Life Safety Fire Risk Assessors Fire Safety Officer Attendance Cost. Fire Risk Assessment Inspection in London Heathrow Compliant to the RRFSO 2005, BS 9999: 2017, PAS 79: 2012 & Insurance LPCB by 28+ Years Ex-Fire Service Professionals & IFE Accredited Life Safety Fire Risk Assessors Fire Safety Officer Attendance Cost. Stay up-to-date on the latest fire safety product releases, special offers & news by signing-up for our newsletter. Quarterly updates - We never spam anyone. Your privacy is protected in-line with the General Data Protection Regulation (GDPR) of The Data Protection Act 2018.